In 1950 the castle was placed in the care of a newly established Museum. 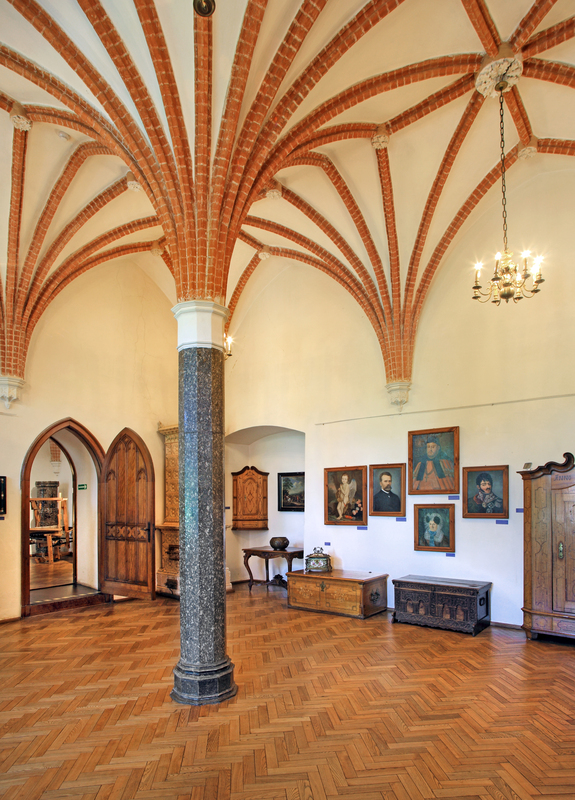 The Museum in Kwidzyn has functioned as a branch of Malbork Castle Museum since 1973. The exhibitions held at the castle aim to introduce visitors to the history, heritage and landscape of the Lower Vistula region. 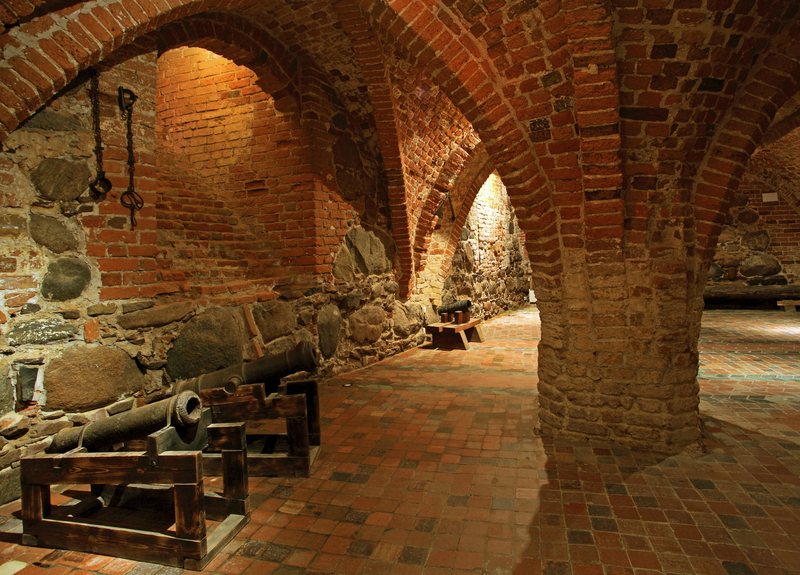 The most valuable exhibit of the Museum in Kwidzyn is of course the castle building itself, which together with the historic Pomesanian cathedral is one of the most treasured sacral and defensive monuments of medieval architecture in Poland. Kwidzyn Castle was erected in the first half of the 14th century. It was constructed as the seat of the Pomesanian Chapter, one of four diocesan chapters present within the Teutonic Order’s state in Prussia. A cathedral was added to the castle at the end of the 14th century. This contributed to the creation of a unique defensive and sacral complex, which was the only one of its kind in the monastic state. The four wings of the castle enclosed a square courtyard and an extensive outer bailey. In the 16th century, after the secularisation of Prussia and the breakup of the Pomesanian Chapter, the castle became the seat of various state offices. In later years – in the 18th, 19th and at the start of the 20th century – the edifice held courts and prisons. At the close of the 18th century, two wings of the castle were taken down for the bricks to be used in the construction of a new courthouse. In the 19th century, the castle saw building and conservation work which reinstated the castle’s former medieval character. 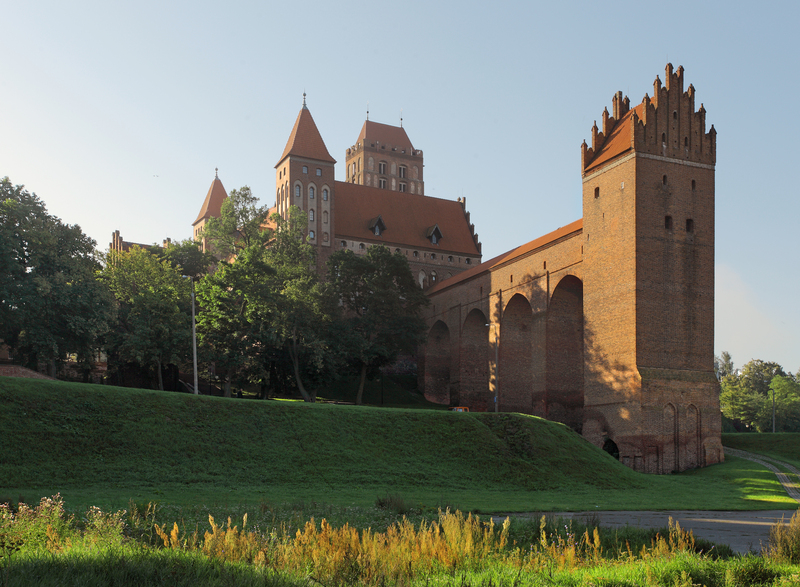 Although the appearance of Kwidzyn Castle has changed many times over the centuries, the characteristic feature of the building, which remains unchanged till today, is the monumental medieval dansker, i.e. a tower which served for sanitary and defensive purposes. The tower is connected to the main building with a walkway, which is 56 metres long.